Qualicare is dedicated to professionally and compassionately guiding families through the complexities of managing their healthcare - particularly during times of medical crisis. We provide consistent, individual attention to ensure our clients get the best care possible with our industry unique 360° Case Management service. We focus on the entire health picture to provide holistic care. Whether located in a private home, retirement home, or hospital we provide exceptional care so family members can spend time "caring," rather than "providing care." Did we mention we are different? 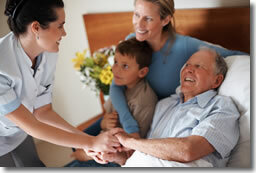 Qualicare is revolutionizing the home health care industry! Covering not only Medical and Non-Medical services, our 360° Case Management program provides the utmost in comprehensive care, coordination and advocacy. Qualicare ensures that we provide the guidance and support that our patients and their families need. Qualicare Personal Care Managers collaborate with physicians, hospitals, and social or community agencies to leverage all resources available to ensure that options are understood and the best care possible can be provided. Clients recognize 360° Case Management as the highest form of homecare, helping us achieve client satisfaction levels that are in our industry's highest percentile. The Best in Systems: Our QPID Business Management software will keep your company organized and on track! This powerful tool has everything you need to properly run your business. Latest Technology – Qualicare has a commitment to technology that keeps us always ahead of the curve. We believe that technology is a powerful tool when used properly and we know how to use it and how to show our Franchise partners how to benefit from it. The Best in Support: We're committed to your success, which means being available to answer your questions. In addition, we'll follow-up with one-on-one coaching.Our coaches get involved in your territory, to help you realize the true benefits our business model offers. 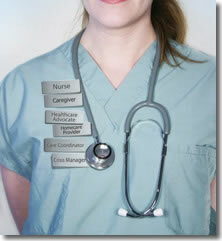 Nurse Managers – if you don't have your own, you can use ours! All care is Nurse Managed at Qualicare ensuring the highest possibly standards for even the most basic services. Our Nurse Managers are eager to assist you. The Best in Training: Qualicare has a 1 year program for your launch. It begins with 8 weeks of initial training followed by training at our home offices and then a 3 month quick start program right in your area. Our coaches will work directly with you to work through our unique and comprehensive marketing program to ensure your success. We Value our Franchise partners! We'll encourage your suggestions because every franchise owner is an important part of our team. Qualicare realizes that our absolute biggest asset is our network of Franchise Owners and we encourage and reward pioneers and ingenuity! *Ask us about our unique Pioneer Program in available States! This and other promotions available now for most US locations. All of this, along with a booming opportunity in the homecare sector makes for a winning and timely combination. Contact us to find out why Qualicare is the best opportunity in Homecare!